Throw Him Out Now! No, Give Him His Job Back! 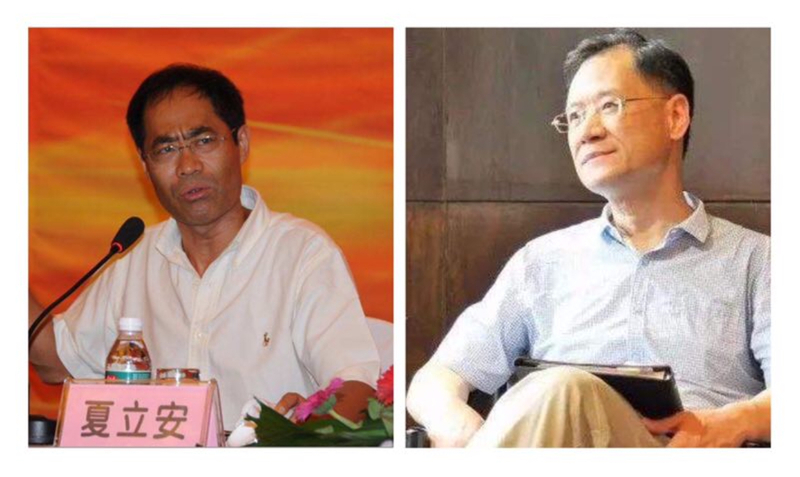 The pros and cons of the Xu Zhangrun Case are offered in these contrasting essays. In one, the author, who is a friend of Xu’s, deploys the cynical language and exaggerated high dudgeon of the Maoist era to offer Xu’s overlords some tongue-in-cheek advice. In the other, the writer launches an earnest defence of a man punished for championing policies that even Xi Jinping claims to support. I am always grateful to Reader #1 for pointing out typographical errors in the draft of this text. A list of articles in ‘Xu Zhangrun vs. Tsinghua University: Voices of Protest & Resistance’, with links, is appended below. As in the case of the previous essays in our series ‘Xu Zhangrun vs. Tsinghua University’, the following texts are reproduced here as they first appeared, despite our ongoing distaste for the ‘Crippled Characters’ 殘體字 of the People’s Republic. These bilingual translations are archived both in The Best China and in the The Xu Zhangrun Archive of China Heritage, under Projects. Tsinghua, Expel Big-head Professor Xu! The administration of Tsinghua University has recently made a decision regarding Professor Xu and he has been duly suspended and put under formal investigation. In light of the grave damage Xu has caused throughout our society I, for one, believe that this punishment is woefully inadequate. Therefore, I recommend on the basis of what you already know that this person should expelled from Tsinghua University. In the first place, I have read most of Professor Xu’s oeuvre and I am quite aware of how dangerously seductive it is. That’s why in the first instance I recommend that all of his books be removed henceforth from the shelves of the university’s libraries and expunged. The third give voice to his so-called humanistic values, to wit Waiting For Dawn. All of this stuff — regardless of whether considered in terms of the author’s historical perspective, contemporary engagement, or dearly held ideals — is mutually imbricated, moreover, as a whole this corpus is cunningly deceptive. Once you fall under the spell of his logic, it is extremely difficult to extricate yourself. That is why, in summation, I recommend that Tsinghua University rid its libraries of Professor Xu’s books. And that’s why, if Tsinghua is really serious about ridding itself of liberalism in all of its guises, then the place to start is in obliterating all historical traces on the campus itself. Then, and only then, will you truly be able to burst the bubble of the present clutch of intellectuals who hold out hopes that they can ‘wait for the dawning of a new day’. 第二，将清华校园⾥的 “海宁王静安先生纪念碑” 关闭，谢绝参观。如果说许大教授是当下清华活着的自由主义分子，那么死去的自由主义分子非王国维莫属。王国维为⾃由之死之⾏为，与陈寅恪为自由呼吁之碑⽂，是清华自由之根。此根不除，清华⾃由主义将不会枯竭，就会如陈寅恪所⾔言，“惟此独立之精神, ⾃由之思想，历千万祀，与天壤 而同久，共三光而永光”。因 此, 清华要真想根绝⾃由主义，须从消除清华园⾥的历史记忆做起，只有这样才能让那些自由主义分子的 “坐待天明” 成为泡影! Thirdly, you must identify and eliminate the noxious influence of Professor Xu’s thinking among both his colleagues and his students. From what I know, Xu was previously diagnosed with a terminal illness. Although it proved to be a mis-diagnosis, he came out of that near-death experience more fearless than ever before. That’s why throwing him into jail won’t solve anything; it will only bolster his boastful pride, and he will regard it as a validation of his importance. Therefore, you must explore new avenues by which to respond to the threat he poses and inflict real suffering on him. According to my understanding, in pursuit of the marketing his Liberalist Thinking more convincingly, Xu is particularly attentive to and caring for his students. He even regards them like his own children! That’s why, if you want to eliminate his pernicious influence, you have to mobilise his students and get them to reveal the deceptive nature of his ideas. During the Cultural Revolution how could they manage to overthrow so effectively all of those university professors and teachers? By relying on the treachery of their students, of course! That’s why I say, the most efficient way to deal with this Professor Xu Zhangrun is to prise open the mouths of his beloved disciples. What does he mean by saying ‘this is my lectern’? Nonsense: that is the Party’s Lectern! Professor Xu: since you are so anxious to sing a different tune from the Communist Party, I demand that you get off the stage! Most people who make art are paid a wage; some others strive to be so. Only cultural exiles, or those who entertain the lower orders can enjoy true creative freedom. ‘Today his presence is Tsinghua’s bane, but tomorrow he may adorn Tsinghua’s name’. In scribbling down these crude thoughts on the Xu Case, I may appear to be a tad callous. I am, indeed, conflicted in myself. Because my own family background was deemed unworthy, I nearly didn’t get a chance to go to university. Yet, I don’t want China to suffer another Cultural Revolution either. Despite all of that — don’t ask me why — there just are some things, or people, that you want to hurt in the same way you were hurt in the past yourself. I guess that’s because, in my heart of hearts, apart from having learned how to hurt others, I really have nothing else to my name. All I know is how to lash out. Allow Professor Xu to Resume Teaching! That Professor Xu’s article ‘Defend Reform and Openness’ is described as being ‘politically radical’ and ‘extreme’, and that he has been branded as being ‘a dissident within China’: all of this reeks of the residual stench of the Cultural Revolution. Let me say it again: the title of Professor Xu’s article was ‘Defend Reform and Openness’, and that was exactly the theme that he addressed. There is no doubt that essay supported Deng Xiaoping’s policies. Now, an article with such title would hardly advocate opposing Reform and Openness, however, an article [like that of ‘Shan Renping’] that opposes that self-same theme is surely an attempt to cut down the banner of Reform and Openness itself. Has obviously presented Tsinghua University with a problem, one of which he is surely completely aware. It is impossible to think that you could keep teaching at a famous Chinese tertiary institution like Tsinghua after you’ve openly aired such politically contrarian views. Xu has, in effect, forced the hand of a university that has long tolerated him. So, Shan says that Professor Xu’s article on the Reforms ‘openly expressed politically contrarian views’; in other words, Shan is saying that the contemporary political situation does not favour Reform and Openness. 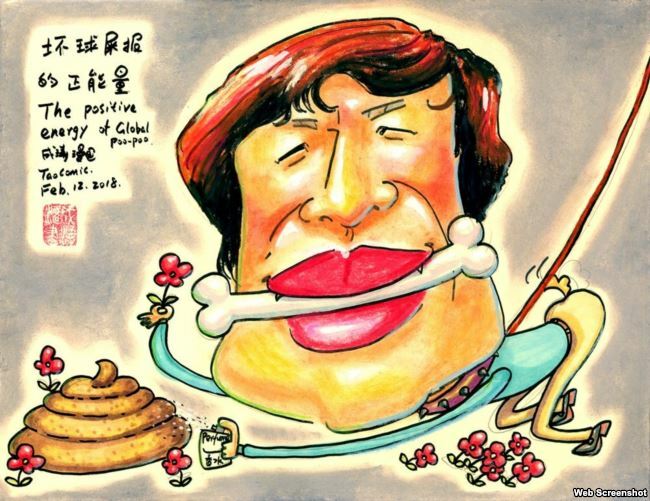 Let me ask you, Mr Shan Renping, is this your interpretation of the present Chinese political line, or are you denigrating it? As I see it, Tsinghua University and ‘Shan Renping’ have taken a problematic political stance, not Professor Xu! 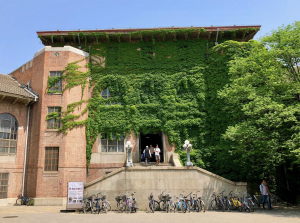 A century ago, Tsinghua University was a standard bearer for the May Fourth Movement; it was significant for it encouraged the pursuit of ‘a free spirit and independent thought’. Its decline has been so precipitous that now it has suspended from teaching a professor who has dared to speak out, a man who defends Deng Xiaoping’s reforms and political line no less. It simply leaves one speechless! In the past the President of Tsinghua University [Mei Yi-chi] had the courage to protect students who had participated in the May Fourth Movement [this is an anachronism since Mei was the Tsinghua president from 1931; May Fourth broke out in 1919] against the despotism of the local warlord. Now the place has a president who not only doesn’t dare protect a professor who speaks out in defence of Deng Xiaoping’s policies, he has taken it upon himself to dismiss him. After a century, where has Tsinghua’s famed ‘free spirit and independent thought’ gone? It is agonising to witness. Professor Xu has had the courage to express views while others have been too cowed to speak out. Although what he talks about is protecting the policies of the last four decades, he is nonetheless being libeled and called ‘a radical anti-establishment figure’, one who has ‘purposefully used dangerous and extreme actions to damage the academic environment of Tsinghua University’. How is it that both Tsinghua and ‘Shan Renping’ have so easily forgotten that, at the Grand Ceremony held in the Great Hall of the People in late 2018, the Highest Leader himself revalidated the importance of raising high the banner of Deng Xiaoping Theory and the policies of Reform and Openness? By forcing Professor Xu out of his teaching position and by denouncing his articles, have Tsinghua and ‘Shan Renping’ in effect declared themselves to be at odds with the unmistakable message of that Grand Ceremony? It is incumbent upon critics to avoid giving people the mistaken impression that some localised issue is representative of the state of affairs in the nation as a whole. All of these statements are crude slanders against Professor Xu. He’s been suppressed because he spoke out in favour of national policy! Given all of this, who could possibly believe that either Tsinghua or ‘Shan Renping’ are interested in supporting the policies and political stance of either the Party or the State? Moreover, that critic by the name of ‘Shan’ avers that: ‘some forces in the West have been consistent in attacking in the most extreme fashion the unique Chinese Path of development’, that there has been ‘ongoing interference from the System of Western Values’, and that ‘critics in China should not join forces with this foreign endeavour.’ By saying all of these things, ‘Shan’ is maliciously suggesting that Professor Xu’s writings represent a form of ‘Western Thought’. If the policies of Reform and Openness are so influenced by the West, then what ‘Shan Renping’ is saying in effect is that he [and by extension Tsinghua University] disagrees with national policy! 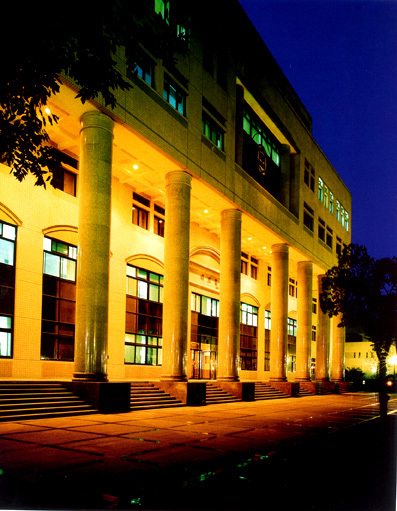 As we approach the centenary of May Fourth [on 4 May 2019], Tsinghua University should be championing the ‘May Fourth Spirit’; it should be protecting a professor who is a paragon of the spirit of independent thought; it should be protecting the man who wrote ‘Defending Reform and Openness’. The last thing Tsinghua should be doing today is crushing a professor who dared to express himself. Tsinghua University, shame on you for forcing Xu Zhangrun to quit teaching. Herewith, I solemnly call on you, Tsinghua University, to reinstate Professor Xu Zhangrun with immediate effect!